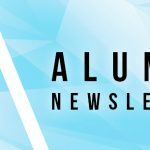 We look back to 2018 and there is so much we are grateful for, especially for all our Alumni Members. During the course of the year we were able to reach and register 1000 Alumni on our page, and engaged them in different interactive activities. These activities included, launching the programme earlier this year, and addressing youth challenges on various leadership trainings and camps. We are excited that the programme succeeded in inaugurating its leadership committees around the centres. It comprises young men and women who are determined to work together in order to uplift their lives through career directed initiatives and engagements. 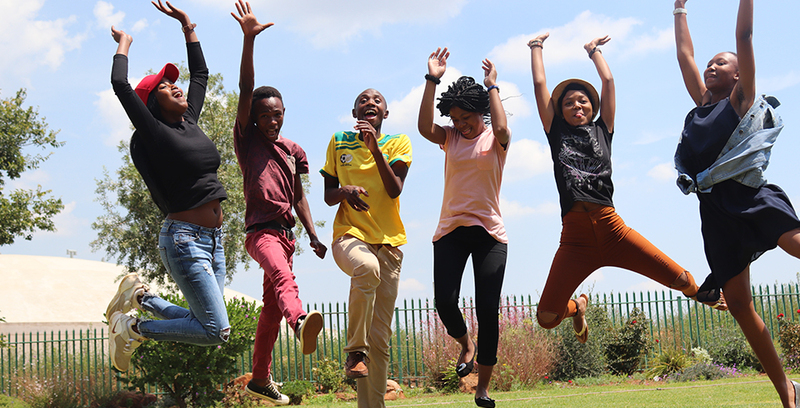 In 2019, we want to double the numbers of our membership to 2000 in all our career programmes within Afrika Tikkun. We encourage all 2018 matric students to register online. Your membership will give you crazy useful information for academic, career and various other opportunities. Every opportunity is designed to ensure that our Alumni is consistently exposed to the right people, the right opportunities and up to the moment information that will keep our alumni ahead of current trends so that they can experience success in the job market. Recent platforms such as Bertie Lubner Week have provided extensive volunteer experiences. 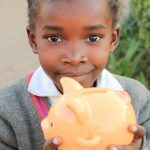 The 2019 ‘Pay it forward’ Campaign will promote alumni volunteerism at Afrika Tikkun. It is great for your CV, and looks even better on your academic scholarship application. We want to make it happen for you. Over 100 Alumni members organized a successful Bertie Lubner Week as well as Human Rights Day celebrations. This year’s celebrations focused on providing an opportunity for alumni members to give back and celebrate the philanthropic legacy of Bertie Lubner. Bertie’s legacy has touched many young people through Afrika Tikkun’s Cradle-to-Career 360 model. Each programme is centered in providing education, civic empowerment and basic needs that are everyone’s human rights. 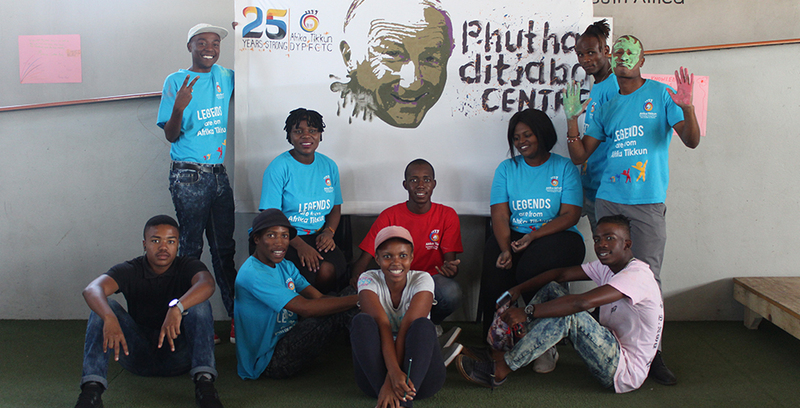 According to one determined and shining alumni member, 22 year old Edwin Mohlama from Diepsloot, he expressed that the day made him feel really good to be part of a team that is willing to give back to the organization. Edwin completed matric at a local school in the community. He joined the alumni programme in July 2018 and is now an organizer at the Wings of Life Centre. When asked about his thoughts regarding Bertie Lubner Week and Human Rights Day, he acclaimed that it was refreshing to celebrate and honour the vision that Bertie Lubner had for young people. He believes that every person has a basic human right to education, not only that but to have good quality education. 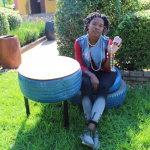 Khanya Sibanda, a 20 year old Alumni President, shares the sentiment and belief that being a leader means more than just the role, being an organizer of a future is easy when you say you are, however the work paves a different venture. Edwin’s volunteering and giving back spirit means a lot to him, and he hopes it can inspire many young people to do the same. Volunteerism provides a unique experience in understanding the purpose of developing young people. Lastly, Edwin’s perspective is that young people should be part of the change they want to see in their communities and get themselves involved in celebrations such as the Bertie Lubner Week. Khanya valued all the volunteerism that took place during the week and said, ‘giving back was their end game because Bertie Lubner was all about philanthropy’. We are happy to announce that we are building a private website that will be easily accessible to all alumni. It will showcase success stories, job opportunities, Learnerships and more, direct online recruitment and updates on events. 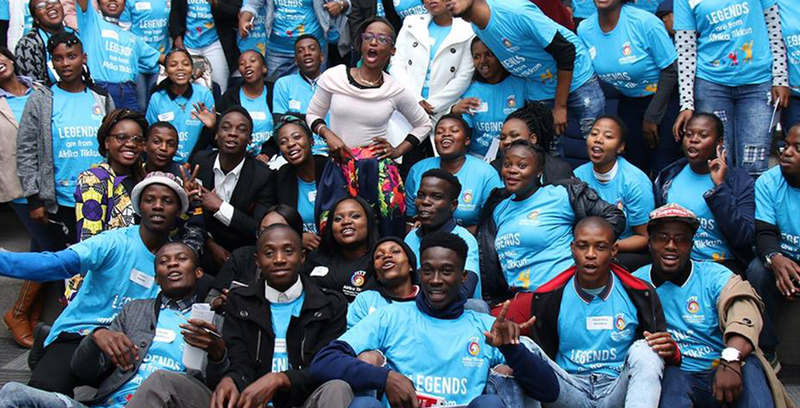 In 2019, Afrika Tikkun celebrates 25 years of developing young lives from cradle to career, and you are part of that rich and wonderful story. Not only a story, but a living legacy, and we are incredibly proud and grateful to you all.